Why is Web Governance so hot right now? We are finally ready for it. Article: Web Governance - it's so hot right now! 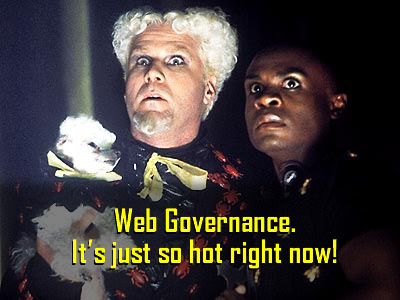 Web Governance - it's so hot right now! Governance. Was there ever a word like it. It's so flexible. So malleable. Like an apology - it can be as meaningful or as empty as you like. "It's how we make decisions. It's about team structure. It's how we set strategy." And so on. It's not that there are no good definitions of Web Governance. There are. The flurry of debate & commentary on this topic in recently times is nudging people towards a shared understanding of what Web Governance is about. Yet, despite this trend, there is still plenty of confusion. Build a successful website by creating agile web processes and an adaptable web team. Fully editable document samples and 'how-to' guide included. I think that the issue is that for a long time governance was used as a convenient label for just about any operational problem on a website. As a result, it came to mean different things to different people. For example, if you had interpersonal issues on your web team, governance was all about roles, responsibilities & people. On the other hand, if your challenge was establishing online direction, governance for you was about strategy & leadership. In addition, some commentators have used the term Governance to refer to specific activities of site management itself, e.g. the activity of decision making or the activity of resourcing. So in short, Governance has been defined - not in any unified way - but as a catch-all for the many disparate elements connected with running a website. This type of fuzzy thinking is not new. Remember how the term "web design" used to be bandied about? Depending on who you talked to it meant everything from graphic design, to usability, to the activity of design itself - & more besides. As we now know, "design" is not a single thing. Instead, it encompasses a wide set of activities, skills & other elements that together add up to a discipline called 'Design'. The same is true of governance. Governance is not a single activity. There is no single document or organisational structure I can point to and say "There - that is my web governance". 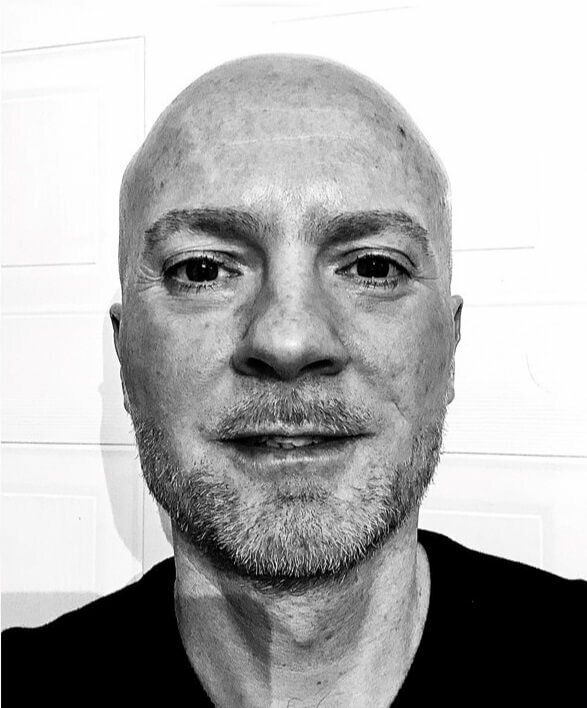 Rather Governance is the system that unites all these disparate elements and allows online operations to be managed in a controlled and orderly way. No matter what site you examine, Online Governance can always be broken down into the same constituent activities supported by the same resources. Leadership: This includes setting goals, budgets, formalising structures & measuring performance. Development: This encompasses the tasks of making a website, incl. design, content, code, testing, etc. Maintenance: This encompasses the tasks of running a website day-to-day, e.g. publishing, QA, feedback, etc. Infrastructure: This is chiefly concerned with ensuring a stable and secure technical environment. People: This means the number of staff I employ, their specialist skills & how I structure them & allocate roles. Processes: These describe all the approved systems & documentation by which the activities of operations must take place. Tools: This includes all the tools (software & hardware) needed to expedite the activities of site operations. Budget: This is needed to fund all of the above! These elements remain constant - always. However, the way in which they are configured can and does change depending on the "scale" of a site. This A3-sized poster illustrates the 4 Primary Activities of Web Governance: Leadership, Development, Maintenance & Infrastructure. Use this document to see at a glance all the things a Web Manager is responsible for. Governance - it's so now! Until quite recently, few online professionals were much interested in Governance. There were too many other problems that needed fixing first. Looking back, it is easy to see how attention has shifted over time from design to content to accessibility, etc. - discovering, learning, & solving problems in sequence. While much work certainly remains to be done in these areas, most of the fundamentals have been put to bed. As a consequence attention is switching to how these activities are managed. While it was pretty easy to disguise inefficiencies in operations when there were lots of basic problems to fix - not any more. For the first time many executives are seeing just how poorly supervised their web operations are. That's why Governance is now at the centre of attention. We are finally ready for it! I am an experienced commentator on web operations. 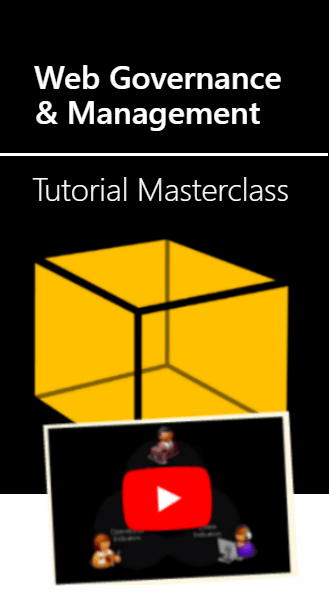 In 2015, I released the web's first online training course in website management and governance. Back in 2006 I published the Website Manager's Handbook, the original guide to online operations. Find out more about me or download slides from my recent conference talks. Do digital dictatorships work best? Website QA tools - good or bad? Quality Assurance: For a life free of broken links!